Algeffari M, Alkhamis A, Almesned A, Alghammas N, Albulayhi S, AlGoblan A. Objectives: Obstructive sleep apnea syndrome or obstructive sleep apnea (OSA) is a health condition commonly associated with glucose intolerance. The limited literature on this subject in Saudi Arabia prompted the conduct of this study, which aimed to determine the people diagnosed with type 2 diabetes mellitus (T2DM) in Saudi Arabia with at risk of OSA, and to determine its associated factors. Methodology: A total of 201 adults, ages 25 or more with T2DM were examined from May 2015 to March 2016. Data was collected using the patients demographic profile, medical history and clinical data, including results of their most recent glucose blood tests and HbA1C. The Berlin Questionnaire was used to determine the risk associated with OSA. All relevant risk factors were analyzed. Results: The estimated risk of OSA determined from the samples was 44.3%. The risk of OSA was significantly more common in people who are obese than those who were overweight or normal. Furthermore, body mass index (BMI) and the duration of diabetes were independent predictors for OSA in a logistic regression model. On the other hand, factors such as age, gender, occupation, hemoglobin A1C, FBG, comorbidities, and the type of diabetes treatment were not found to be significant predictors for OSA. Conclusions: Almost half of Saudi people with T2DM are associated with the risk of OSA, which may or may not be diagnosed. The risk of OSA was significantly correlated with increased BMI, neck and waist circumference, and duration of diabetes. Algeffari M, Alkhamis A, Almesned A, Alghammas N, Albulayhi S, AlGoblan A. Obstructive Sleep Apnea Among People with Type 2 Diabetes in Saudi Arabia: A Cross-Sectional Study. Majmaah J Heal Sci. 2018; 6(2): 32-39. Algeffari M, Alkhamis A, Almesned A, Alghammas N, Albulayhi S, AlGoblan A. Obstructive Sleep Apnea Among People with Type 2 Diabetes in Saudi Arabia: A Cross-Sectional Study. http://www.mjhs-mu.org/?mno=302643526 [Access: April 20, 2019]. Algeffari M, Alkhamis A, Almesned A, Alghammas N, Albulayhi S, AlGoblan A. Obstructive Sleep Apnea Among People with Type 2 Diabetes in Saudi Arabia: A Cross-Sectional Study. Majmaah J Heal Sci. (2018), [cited April 20, 2019]; 6(2): 32-39. Algeffari M, Alkhamis A, Almesned A, Alghammas N, Albulayhi S, AlGoblan A (2018) Obstructive Sleep Apnea Among People with Type 2 Diabetes in Saudi Arabia: A Cross-Sectional Study. Majmaah J Heal Sci, 6 (2), 32-39. Algeffari M, Alkhamis A, Almesned A, Alghammas N, Albulayhi S, AlGoblan A. 2018. Obstructive Sleep Apnea Among People with Type 2 Diabetes in Saudi Arabia: A Cross-Sectional Study. Majmaah Journal of Health Sciences, 6 (2), 32-39. Algeffari M, Alkhamis A, Almesned A, Alghammas N, Albulayhi S, AlGoblan A. "Obstructive Sleep Apnea Among People with Type 2 Diabetes in Saudi Arabia: A Cross-Sectional Study." Majmaah Journal of Health Sciences 6 (2018), 32-39. Algeffari M, Alkhamis A, Almesned A, Alghammas N, Albulayhi S, AlGoblan A. "Obstructive Sleep Apnea Among People with Type 2 Diabetes in Saudi Arabia: A Cross-Sectional Study." 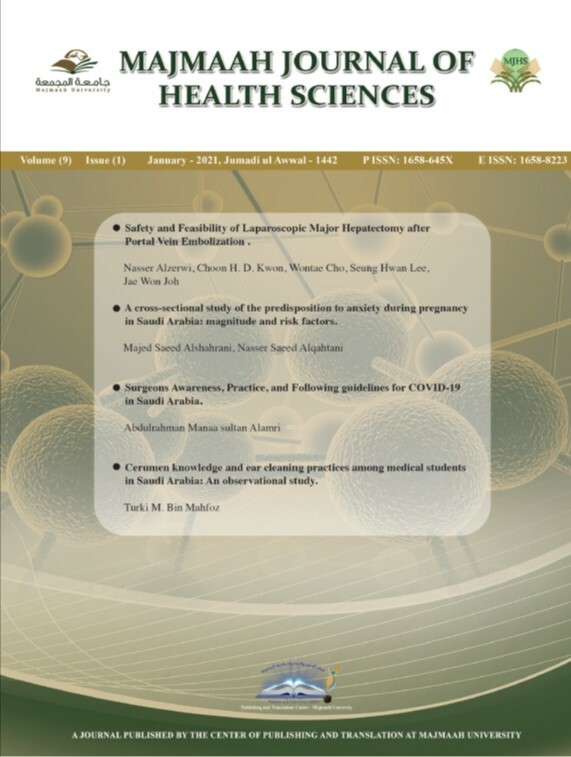 Majmaah Journal of Health Sciences 6.2 (2018), 32-39. Print. Algeffari M, Alkhamis A, Almesned A, Alghammas N, Albulayhi S, AlGoblan A (2018) Obstructive Sleep Apnea Among People with Type 2 Diabetes in Saudi Arabia: A Cross-Sectional Study. Majmaah Journal of Health Sciences, 6 (2), 32-39. Majmaah J Heal Sci. Year: 2018, Volume: 6, Issue: 2: 32-39.